The fun game I couldn't wait to pull together, and is so much fun to look at! Such a fun way to share the good choices and bad choices of life. 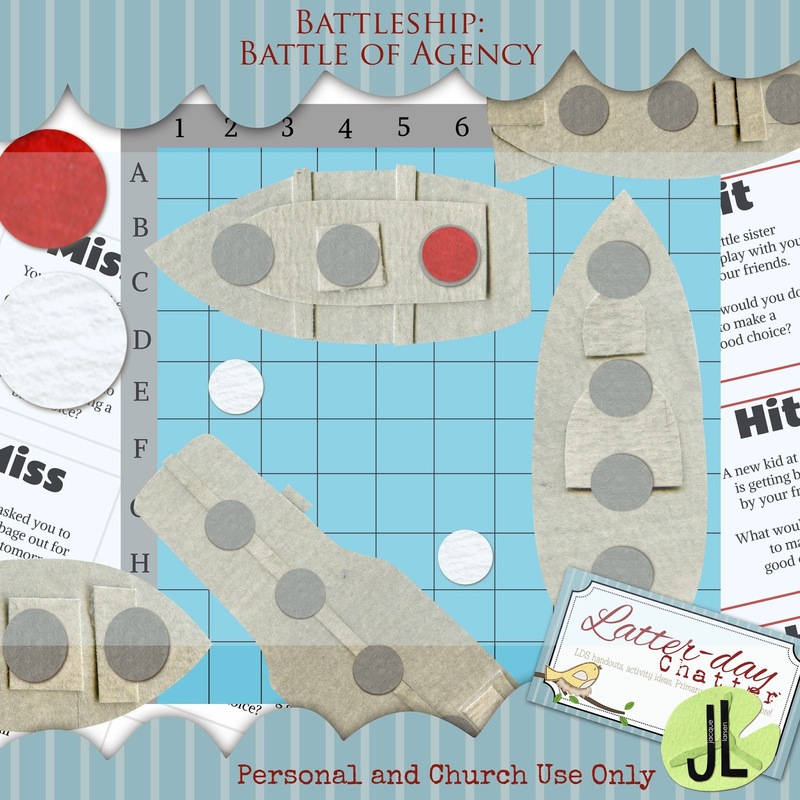 Includes a 2ft board with a key and 5 big ships to play a church version of the game Battleship. It includes 2 sheets of scenarios both hits and misses and blank sheets to add your own. #1 cover the ships with a big white paper (abt 5-6 computer printer papers glued together) then as the kids "hit" the ships use an exacto knife or rip the paper so that part of the ship (don't expose whole ship) is exposed then use a hit scenario. You could also have a member of the presidency to help with this part. It’ll be less disruptive with the help because then you wouldn’t have to stop. #2 you could print another large board and put it the other side of the chalk board with the hit version (teacher or member of presidency behind doing the hit version). You can then do all the scenarios at once. #3 The hit/miss pieces are used when the kids say C6, A8, etc. When one of your ships are there (spread out your ships across the board) Red is a hit and white is a miss. So you'll glue/tape a red/white piece depending on if they've hit one of your ships (they must "sink" your ship- all gray bullets are filled on that ship- then you say "sunk". To make it easier on the Junior Primary you could also show part of the ships so they kind of know where they are, but that would entirely depend on how young your JP is. 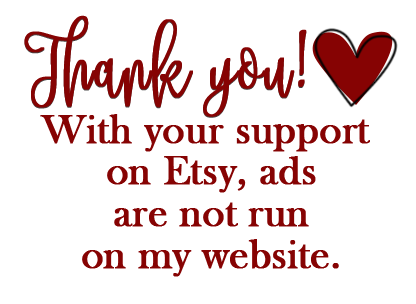 Please comment below or email me (latterdaychatter@hotmail.com) for other questions about the game. I'll be available to answer emails until 10:30 (MST) tonight. Thank you ladies for all your support!